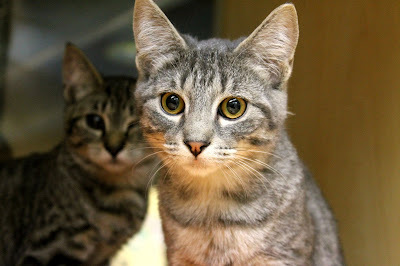 Warm weather marks the beginning of kitten season at Animal Friends. This is the time of year that cats give birth, often beginning as early as March and lasting into October. At Animal Friends, we're feeling the effects of kitten season as we work tirelessly to accommodate the overwhelming needs of kittens who come through our doors. With so many homeless kittens waiting to find loving families, right now is the perfect time to adopt a sweet kitten … or two! 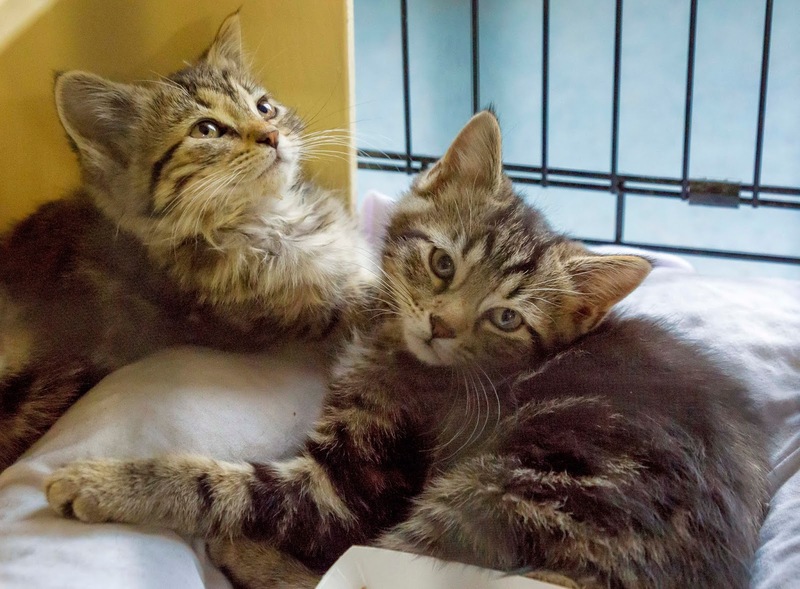 At Animal Friends, we know it’s twice as nice to adopt two kittens at once. Not to mention, when you adopt two animals from Animal Friends, you get twice the amount of love for one adoption donation! There are many benefits to adding two kittens to your family at once. They will always have a playmate to chase, wrestle and keep them active, well-exercised and healthy. Many cats are social and will love having a sibling to groom and cuddle with during nap time. Kittens learn from each other! If one is a little shy, socializing with an outgoing sibling can show them how to interact with humans. Usually, negative behaviors in pets can be because of boredom. Having a companion will help to keep them mentally stimulated and out of trouble! We all have to leave home from time to time. Having a kitten sibling can alleviate separation anxiety for your kitten and can prevent you from feeling guilty for being away. Two cats will bring your family double the love. They make great lap warmers during the winter months and offer twice as many purrs and cheek rubs. The only thing more heartwarming than the love of a pet is the love of two! Adopting two cats actually saves four lives – the two you're adopting, and the two that will take their open spots at Animal Friends, given a priceless second chance thanks to your adoption. Having two kittens doesn't require much additional effort, either. An extra food and water dish and litterbox is well worth the joy your newest additions will bring to the family. Plus, if you adopt from Animal Friends, your newest family members will be spayed/neutered, microchipped and up to date on all vaccinations. 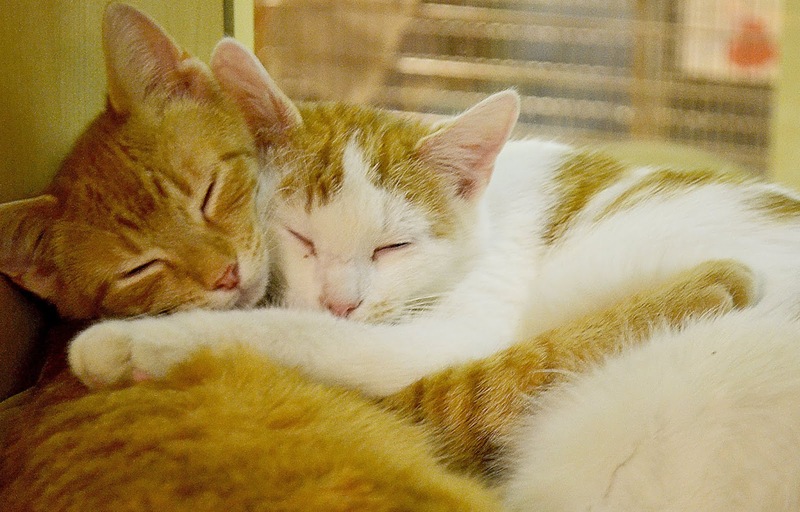 Often, Animal Friends has pairs of cats who have come in together and need to find a home with room for two. We'll help you introduce your new cats to your home and give them the time and space they need to bond. It’s the perfect time to bring home two homeless cats! How can you resist? Two-step to Animal Friends at double speed – after all, two cats certainly are twice as nice! So, come to Animal Friends or visit ThinkingOutsideTheCage.org/Cats to meet our adoptable cats today! then we are the best pet's shop and best breeders in Dehradun,Uttarakhand(India). Thank you for sharing. I experienced to adopt a cat 2 years ago then I got busy in work that's why I don't give her a time to visit her vet, then we found out that she is badly sick. I'm blaming my self until now and I its hard for me cope until now. Thank you pet cremation houston for helping and support us.